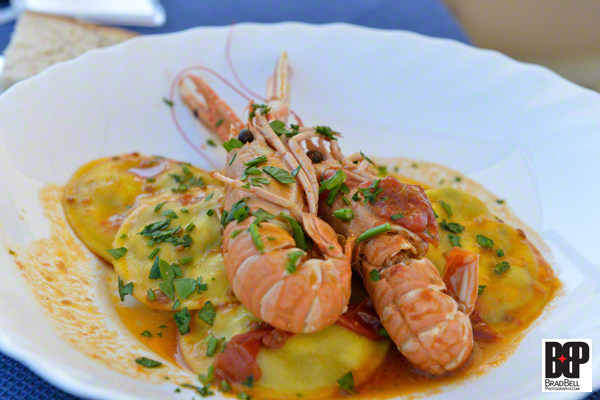 Our trip to Italy was not only spontaneous but off the beaten path for the most part. Some destinations (see Part I) earn a big check mark once we have seen them and others, like Paris and Amsterdam, we return to again and again. 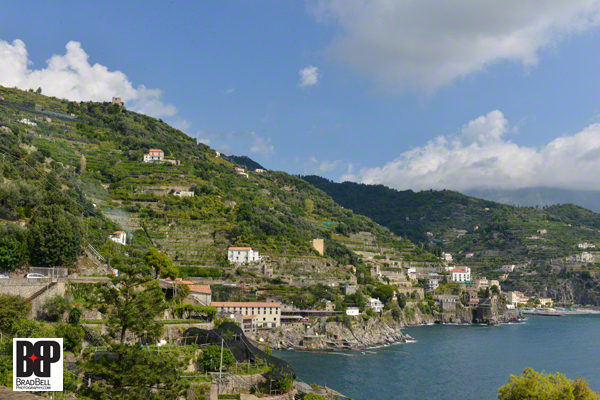 The western coast of Italy south of Naples, from Salerno to Amalfi and all the way down to Maratea, is simply breathtaking. Once is just not enough! Our charming host at the Hotel Parsifal. 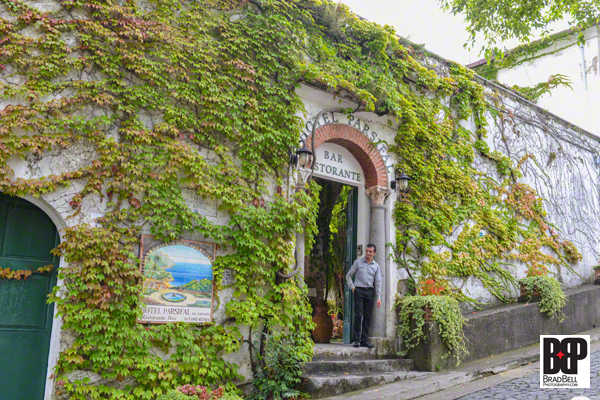 Our first stop was in gorgeous Ravello. 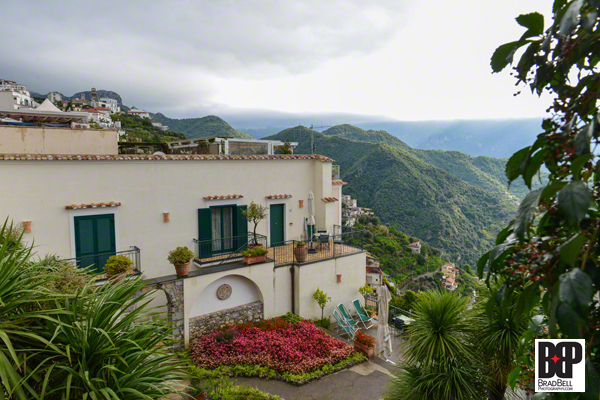 In true Amalfi form, Ravello is stacked from the beach all the way to the top of the mountain where our hotel, the Hotel Parsifal ex convento del 1288 is perched. As you might guess from the name, it was built as a convent several hundred years ago and has a breathtaking view of the harbor below. 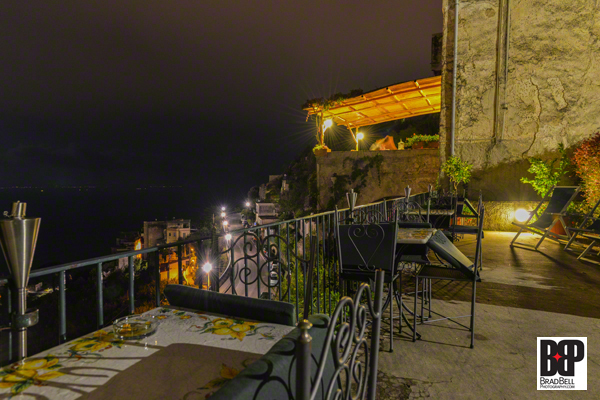 The hotel’s terrace overlooking the town below. At dinner we watched the moon rise over the next mountain peak. 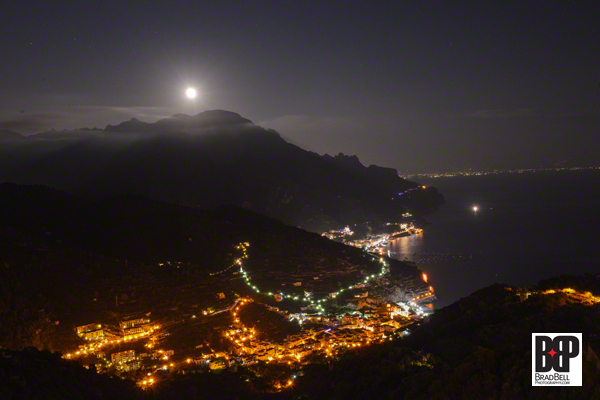 We had a lovely dinner on the hotel’s terrace, watching the moon rise over a neighboring mountain. Our room overlooked the courtyard fountain with a spectacular view of the city below. The two brothers who run the hotel couldn’t have been more friendly and helpful. 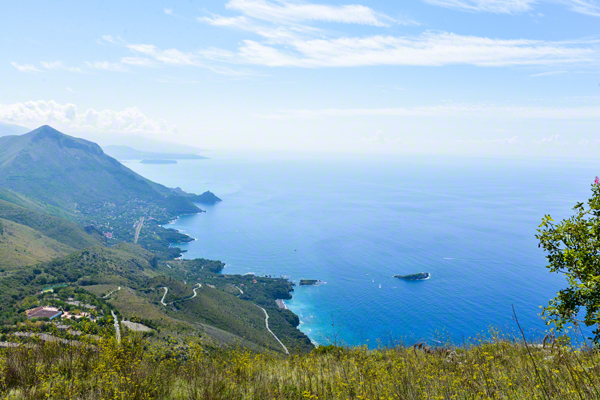 If hairpin turns climbing the mountain on two-way roads barely wide enough for a single car are not your style, you might want to stay at sea level. Italian drivers think nothing of taking their half of the roadway out of the middle! 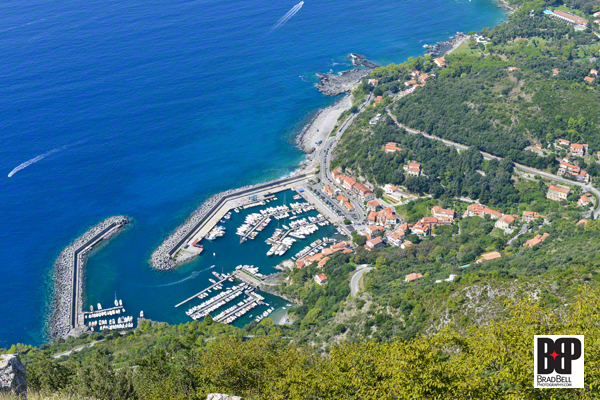 Maratea is considerably further down the coast and also perched mid-way up the mountain side, not far from Italy’s Statua del Cristo Redentore or statue of Christ the Redeemer rising from the summit and overlooking the villages and beaches below. 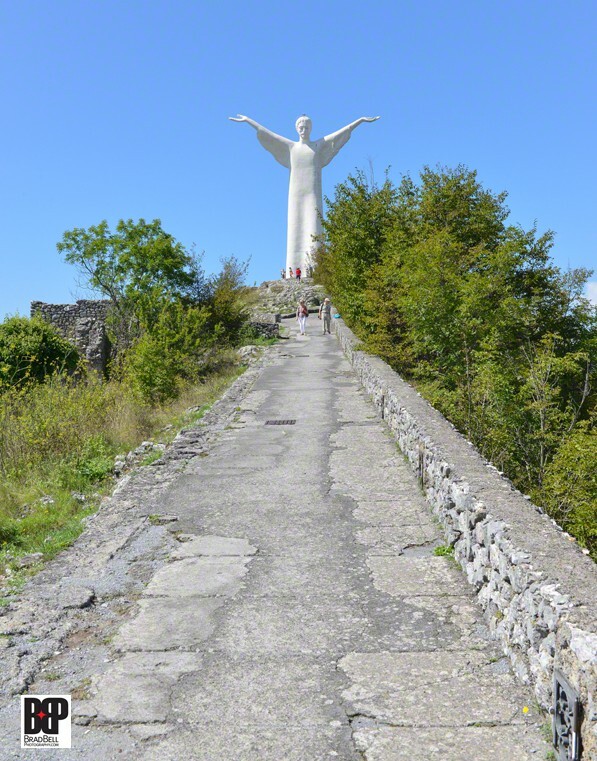 At only 20 meters tall, Italy’s version is a little weak compared to Rio de Janero’s towering statue which is nearly double the size. Coincidentally, our hotel in Maratea was also formerly a convent. We were in Italy, after all. There are probably more convents per capita in Italy than any other predominantly Catholic country in the world. Just guessing! 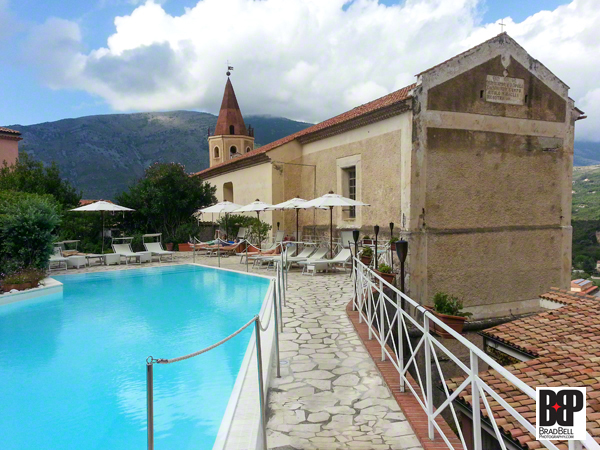 The rooftop pool at our hotel in Maratea came with its own chapel. Again, the hospitality offered by the family who owns and runs the hotel couldn’t be beat. Overlooking the old town of terra cotta roofed buildings, La Locanda Delle Donne Monache is comprised of 27 rooms on several different levels. The hotel was not full so we were offered our choice of a smaller room on the main floor with a city view, or a larger room on a lower floor with a garden view. Not being travelers who pack lightly, we opted for the larger room even though there were 72 steps involved in each trip to and from the room. 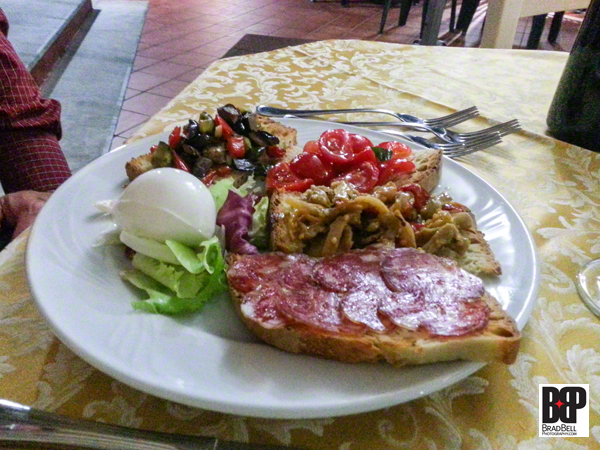 When eating in Italy, steps can be your friend! A plate of appetizers was served before dinner. In addition to an elaborate breakfast included with your room, the hotel offers a free shuttle to take you down the mountain to the beach club where 2 chairs and an umbrella await you. 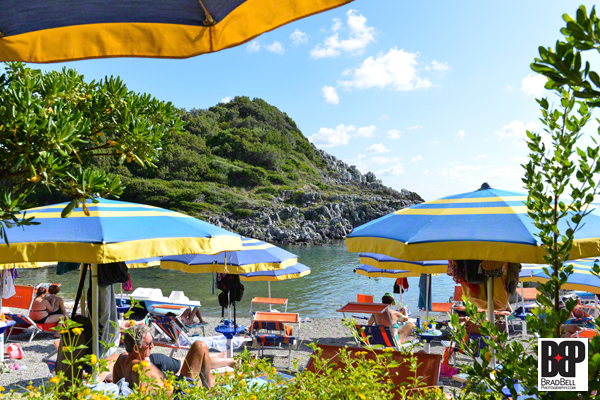 As is often found in the Mediterranean, the beach is smooth black rocks and not terribly comfortable on your feet. 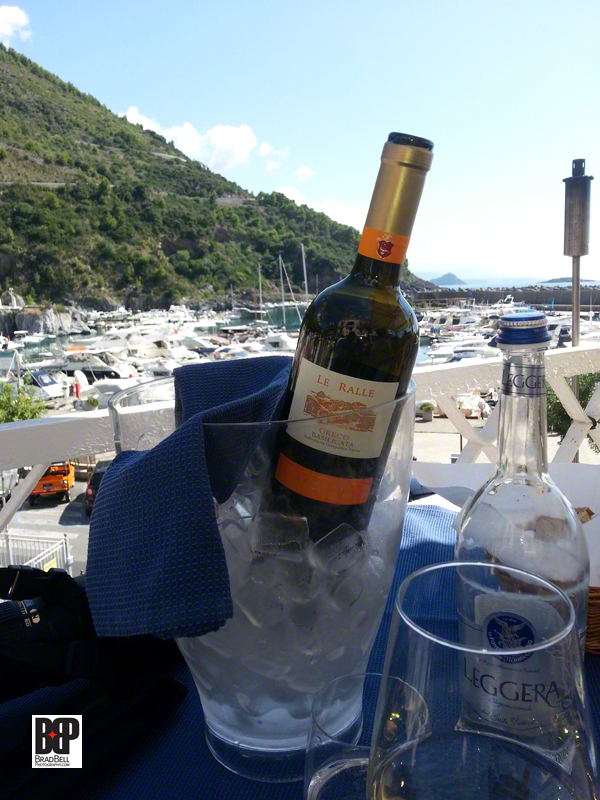 We drove to the marina to find a spot for lunch and discovered the perfect restaurant for some seafood pasta and a bottle of wine. It was a gorgeous Sunday afternoon and it seemed as though all the locals were out enjoying the weather. Lunch overlooking the marina. Amazing Bruschetta! 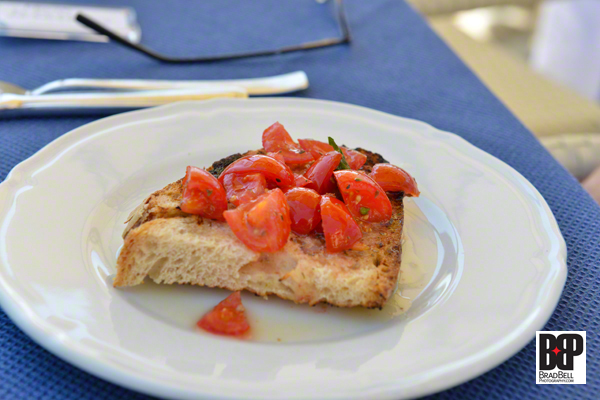 Toast drizzled with olive oil and tomatoes with basil on top. Yum!! 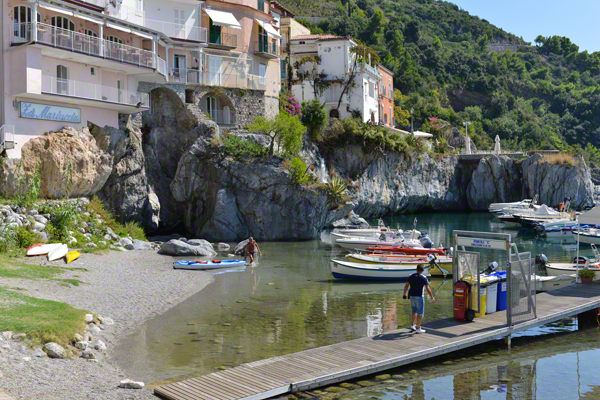 Our stay along Italy’s southwestern coast couldn’t have been more perfect. Exactly what the birthday boy needed! This entry was posted on September 29, 2014 by Brad Bell Photo. It was filed under Beach, Blogging, Celebrations, Europe, Food, Italy, Photography, Travel and was tagged with BradBellPhoto, Europe, food, travel, travel photography. Oh my gosh!!! That was well worth the wait 🙂 – fantastic photos and once again totally making me feel the need to TRAVEL! Thanks Brad … I’ve been missing your blog. I love it!!! Amazing!!! Thanks for sharing … It was definitely worth the wait!